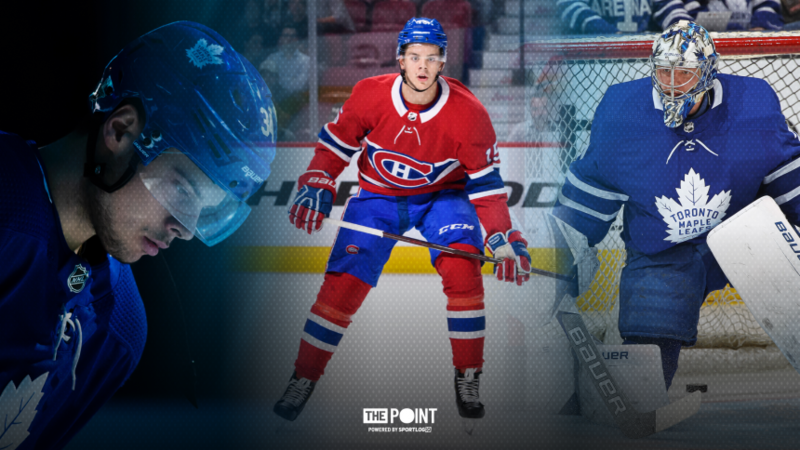 Opening Night: MTL vs TOR - The Point Data-driven hockey storytelling that gets right to the point. Game on! The regular season gets underway tonight with four games, starting with an original six match-up between the Montreal Canadiens and the Toronto Maple Leafs. 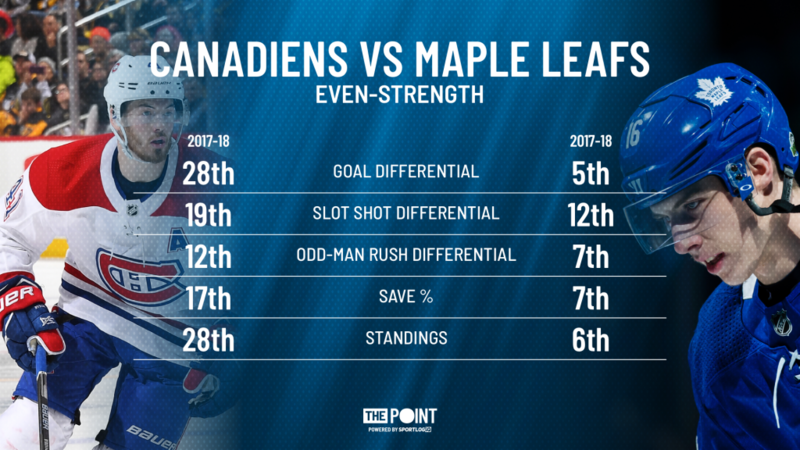 The Canadiens are looking to rebound from a disastrous 2017-18 season that saw them finish 28th in the standings. The Leafs, seems like Cup or bust which is interesting considering this group hasn’t made it out of the 1st round yet. However, the core now includes John Tavares, which gives Toronto one of the best 1,2 punches down the middle in the league and two of the top slot shot generators in hockey. 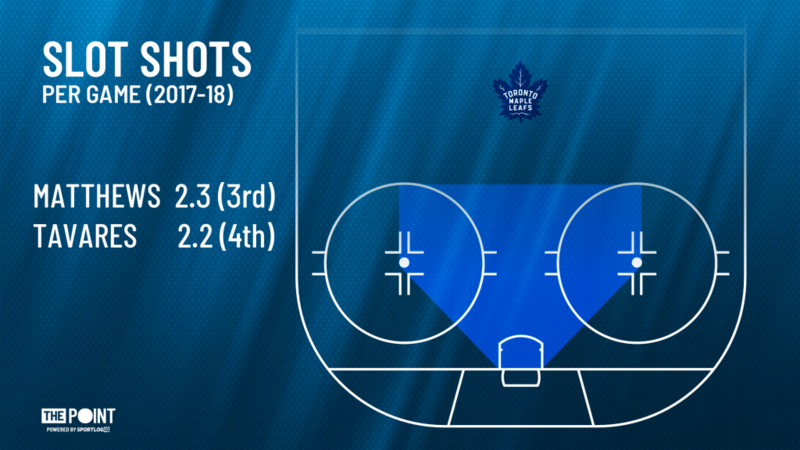 Last season, Auston Matthews and Tavares both finished in the top 5 in shots from the slot per game. Speaking of the center position, Jesperi Kotkaniemi makes his NHL debut tonight for the Habs. The 3rd overall pick earned a spot in the opening night line-up by playing well beyond his years late in the pre-season. 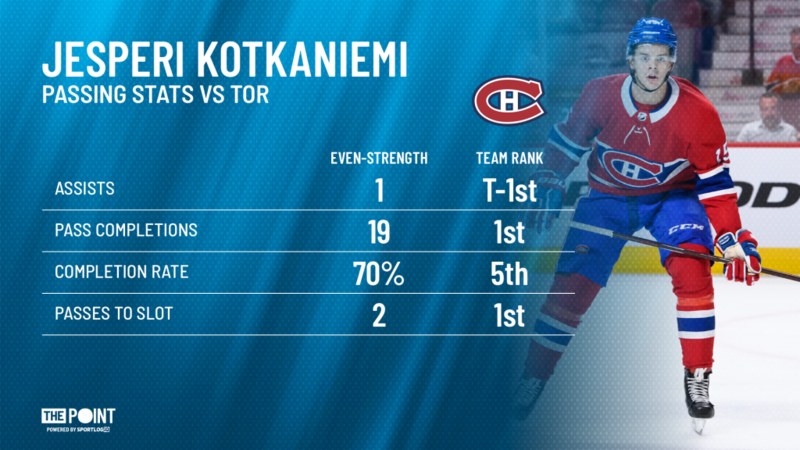 One week ago, Kotkaniemi picked up an assist against the Leafs and was the Canadiens best forward in the game. His passing numbers stood out more than anything else.